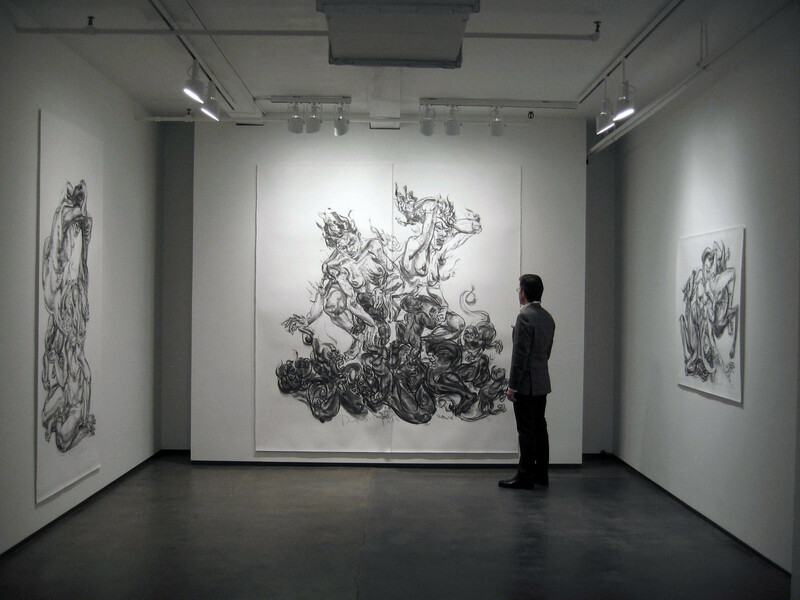 Tyler Rollins Fine Art is pleased to present an exciting new body of work by Jimmy Ong. 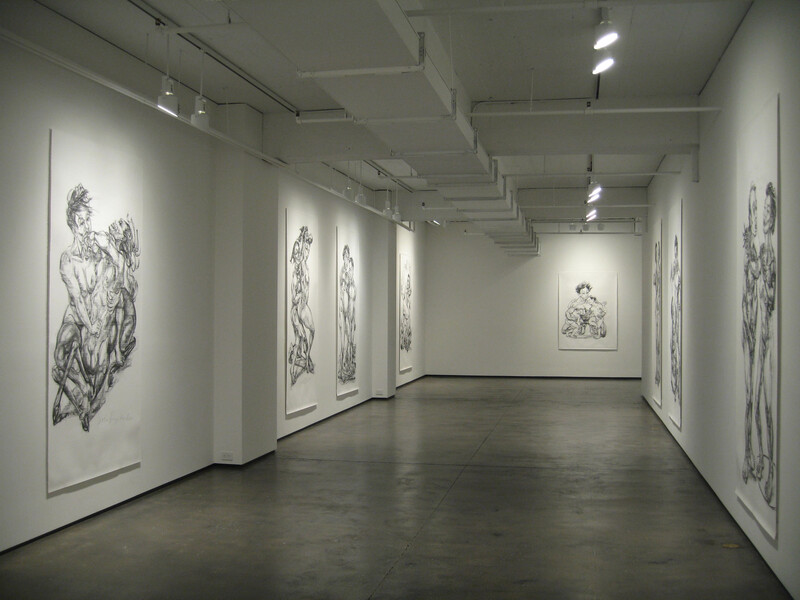 Considered to be one of Singapore’s preeminent contemporary artists, Ong has been noted for his large scale, figurative charcoal works on paper since his first solo exhibitions in the 1980s. During the past year, he became fascinated with theRamayana, the ancient Indian epic that recounts the exploits of Rama and his dutiful wife, Sita. This epic continues to play a vibrant role throughout Southeast Asia and provides an endless source of inspiration for the region’s folk and popular cultures. A Singaporean of Chinese descent who is now residing in the United States, Ong has brought his own unique viewpoint to this classic story. Inspired by the Ramayana’s characters and its dramatic themes of love, combat, and heroic adventure, he has created new narratives that are informed by his sensitivity as a gay man to the way gender roles play out in contemporary relationships. Ong has refocused the epic on the Sita character – hence the exhibition’s title, Sitayana. 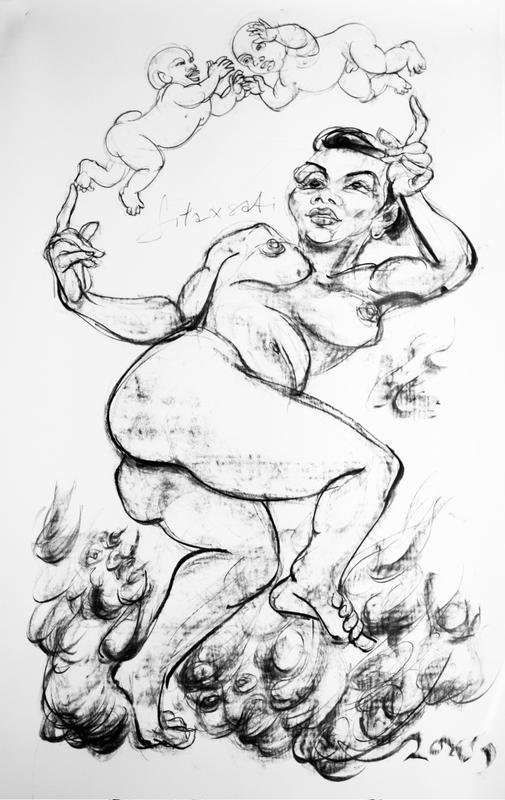 He presents powerful and at times disturbing images of female figures. 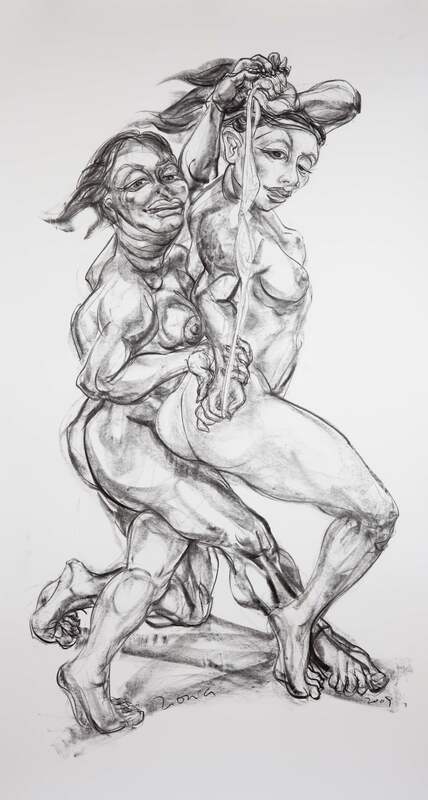 Their muscularity and contorted, aggressive poses place them firmly in the traditionally male realm of heroic action, offering a blunt challenge to the traditional image of the obedient, submissive female. But Ong’s approach is never so simple or straightforward. 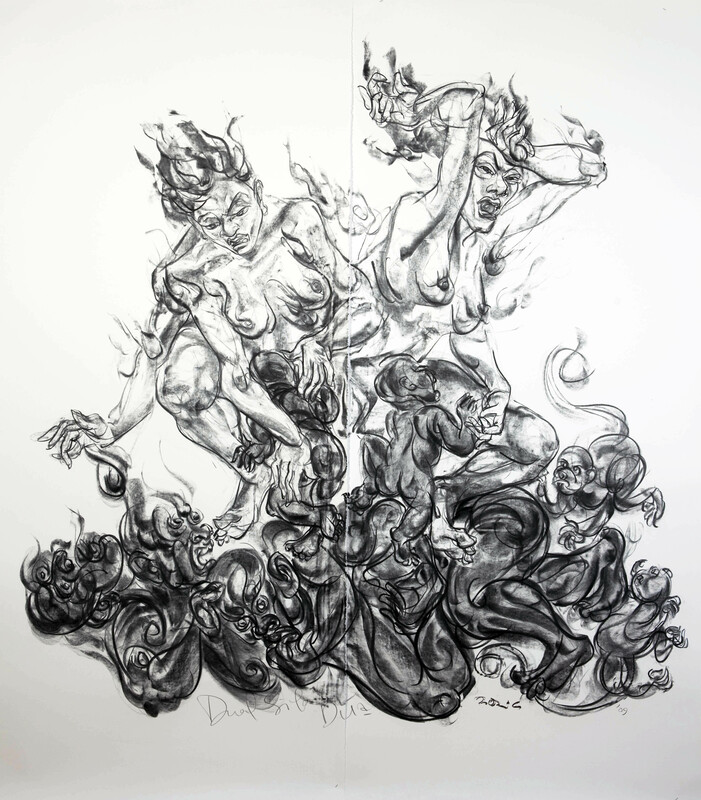 Duality has always been a central preoccupation for him, and his works explore the ways in which multiple identities and perspectives – whether sexual, ethnic, national, or even generational – can coexist within the individual. 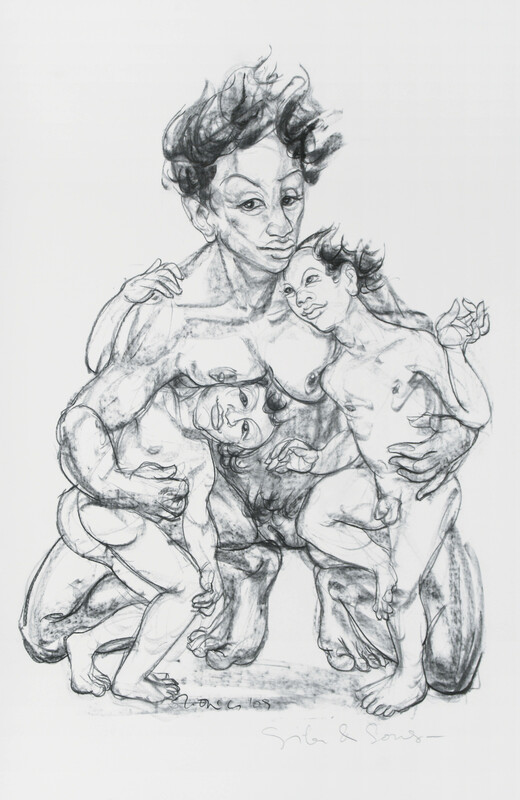 With Sitayana, these tensions come to the fore, as each drawing reveals different permutations of masculinity and femininity, activity and passivity, tenderness and violence. 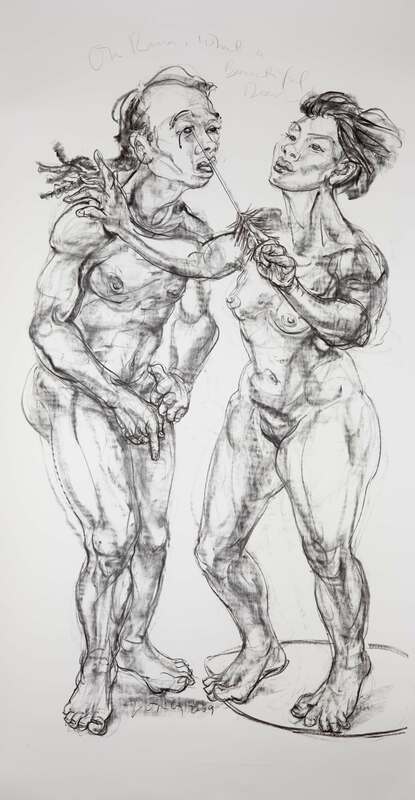 His drawings do not present traditional images of conflict between these supposed binarisms, but rather they work to undermine the fixed quality of these very notions. 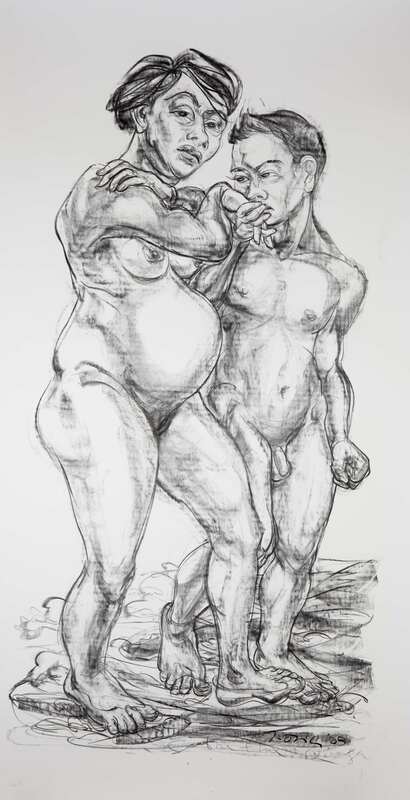 Although often monumental in scale, his figures are never monolithic, but instead are multifaceted and complex, an uneasy mix of many divergent perspectives – in short, distinctly contemporary.